The AGC Associates Council invites members to join in the fastest growing Colorado Construction Industry tradition. 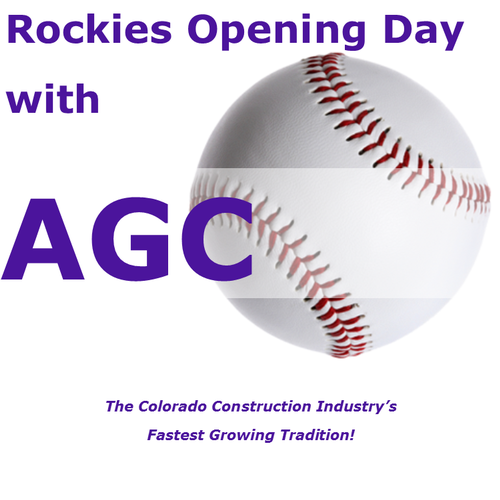 Come and enjoy a pregame celebration for the Colorado Rockies Home Opener and network with GC's, Specialty Contractors, Suppliers and Associate members. Does not include tickets to the game.